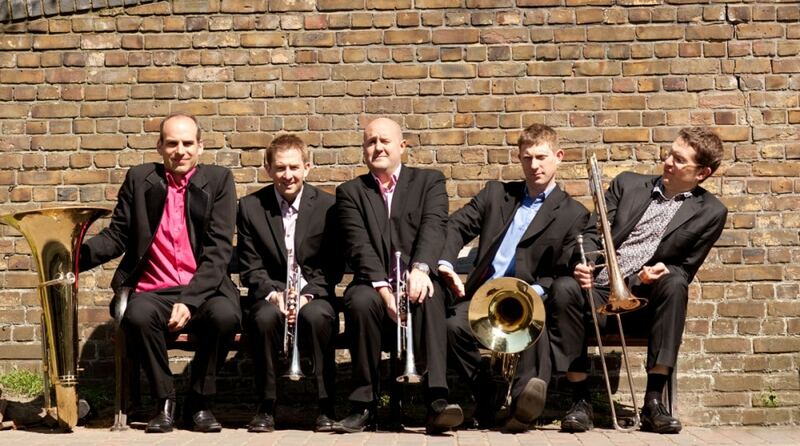 Since 1993 Onyx Brass has been dominating the international brass chamber music world. Dubbed “easily the classiest brass ensemble in Britain” by BBC Music magazine, it has performed at festivals all over Europe and the USA to huge critical acclaim. 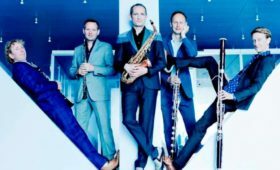 The group was conceived by way of filling the huge gap in the market for a serious yet approachable brass chamber ensemble. Of particular importance to Onyx is the commissioning of new music and, to this end, it has performed and recorded world premieres of music by Jonathan Dove, Bob Chilcott, John Tavener, John McCabe, Judith Bingham, Joe Duddell and Michael Nyman. Onyx Brass is also very active and experienced in the field of music education, having conducted workshops and master classes for a huge range of people. It has directed educational days at the Royal Scottish Academy of Music and Drama, the Guildhall School of Music and Drama, and the Royal Welsh College of Music and Drama. In the USA, it has carried out masterclasses at the Juilliard School in New York and the Boston Conservatory. In addition, the group returned to its roots at the National Youth Orchestra for a day and coached the talented young brass students for a cooperative concert held that evening. Onyx Brass has just been appointed ensemble-in-residence at both Westminster Abbey Choir School and Imperial College, University of London. 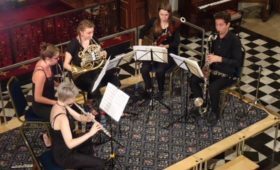 During 2000-01 it took part in a Making Music (formerly the National Federation of Music Societies) New Horizons educational tour around Britain, with specially commissioned music by Bob Chilcott called ‘A Sporting Chance’ for brass quintet, school choir, actors and dancers. In 2002, with the assistance of ING Barings and Hackney Music Services, it took a similar project into schools within the London Borough of Hackney. Between the Summers of 2004 and 2005, Onyx, again, took ‘A Sporting Chance’ to various festivals and societies around the UK, thanks to a grant from the Arts Council of Great Britain. The group intends to rejuvenate this project in the run-up to the London Olympics in 2012. Work with choirs now also forms a vital part of Onyx’s work. In recent times the group has worked with the BBC Singers, the Brighton Festival Chorus, the Choir of St Brides, Fleet Street as well as superb amateur choirs including the choir of Selwyn College,Cambridge. 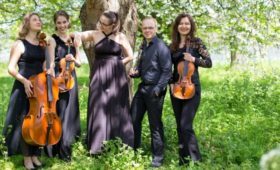 The John Armitage Memorial trust forms the backbone of this work and, also, provides a platform for composers to submit works for inclusion in to each year’s series of concerts.